The research is part of a $2.2 million National Institutes of Health program focusing on robots. By Chris Sweeney·	 12/7/2015, 10:38 a.m.
Cynthia Breazeal’s love for the robots of Star Wars is well known. Both C-3PO and R2-D2 rank in her “Top 10 Favorite Robots” list, and she’s credited the film with sparking a lifelong fascination with personal robots. In recent years, Breazeal, director of the Personal Robots Group at the MIT Media Lab, has made tremendous strides toward ushering in an age of household robotic companions that rival Hollywood’s most beloved bots. The creatures from her lab are expressive in their body language and capable of giving off non-verbal cues that we, as humans, recognize and engage with. Now Breazeal and her lab are among three participants in a new $2.2 million National Institutes of Health program that’s looking at how social robots can improve health and wellness. Specifically, the NIH wants to see if Breazeal’s creations can help “inspire curiosity” and teach “the importance of hard work and determination” to school-aged children. Breazeal’s lab has significant experience in this realm. Several years ago, as Breazeal explains in her Ted Talk, a colleague developed a robot that encouraged and coached participants through a diet and exercise program. It’d make eye contact with users and look down at the screen when it was sharing information in its synthetic voice. Participants in the Boston-based study were assigned one of three options: a robot; a laptop computer that ran the same dialogue and gave the same advice as the robot; or a standard pencil-and-paper training log. Those using the robot stayed engaged with the program significantly longer than those given the computer or pencil and paper. They also said they had a stronger “working alliance” with the robot, and that they trusted the robot more than the other interventions. Moreover, those given the robot also displayed an entirely different type of “emotional engagement” with the program. Breazeal jokes about how study participants named their robots and sometimes dressed them up; often they’d even walk out to the car to say goodbye to the robots at the end of the study period. It sounds silly, but this personal connection could be a key motivator, whether it’s for a middle-aged man trying to drop a few pounds, or a young student adapting to new environments and subjects. Breazeal’s lab will be running a six-month-long study to understand how kids interact with social robots and what potential educational benefits are to be gleaned. 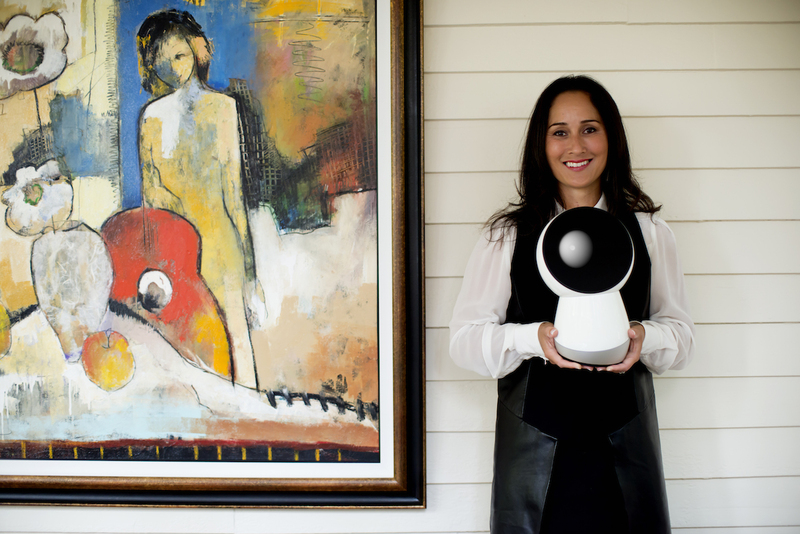 In addition to the NIH program, Breazeal has been heavily involved with the creation of Jibo, one of the first social robots designed for the mass market. The Indiegogo campaign for Jibo hit $3.7 million, exceeding its initial goal by more than 3,000 percent. There’s now a waiting list for Jibo, and, according to the company’s website, the first Jibos are expected to be delivered in spring of 2016.